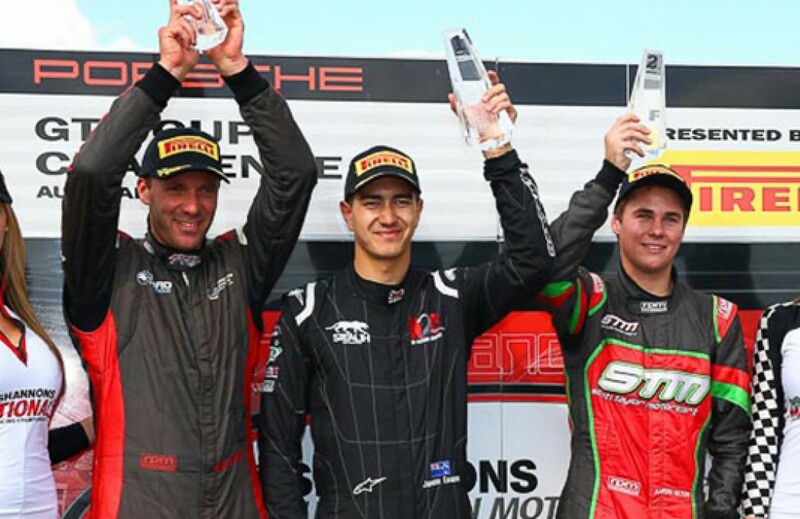 With only two rounds remaining in the Porsche GT3 Cup Challenge Championship we were really looking forward to a great weekend and some fast, close racing to push our drivers to continue their improvement and progress in our "MR Driver Development" program. 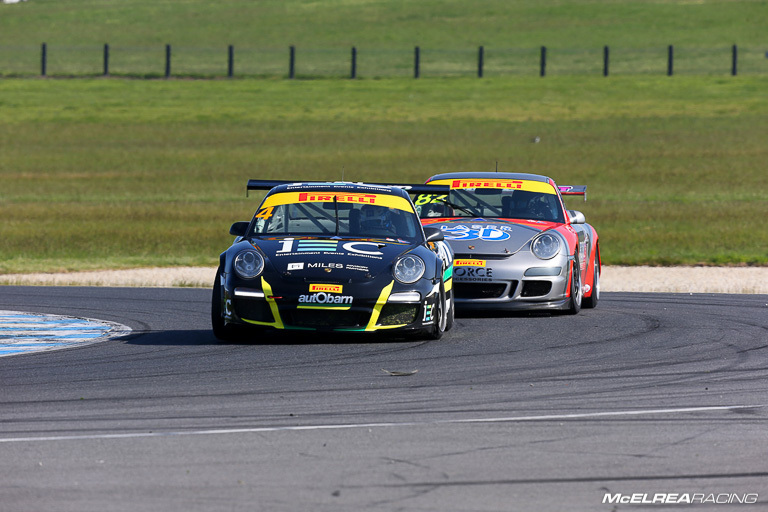 Phillip Island is a favourite of many fans and drivers alike, known for it's smooth surface and fast flowing corners it is very well suited to the Porsches as it is similar to the European circuits the cars were made for. As well as having the support of our Technicians, Engineers our Drivers have the added benefit of our regular Driver Coaches Warren Luff and Matt Campbell to help them get the most out of themselves. It was a well publicised event with live streaming on Sunday and a highlights scheduled to play on "Speedweek" on Sunday the 4th of October at 2pm on SBS. But enough talk, lets take a look at how each of our drivers went. Jaxon had a really impressive qualifying session and qualified fastest in "B Class". In race 1 he initially led the title challenger Aaron Seton until Seton’s team mate Scott Taylor got by in his faster A Class car. Unfortunately Scott didn’t pull away which allowed Seton to catch Jaxon and gave him the opportunity to get by when Jaxon made a small mistake at turn 4 causing Jaxon to finish disappointed in 2nd. In race 2 Jaxon got a blinder of a start to beat Seton into the first turn and hold the lead for the whole race which ensured they started race 3 on even points. In the third race Jaxon got too much wheel-spin off the start allowing Seton to lead into turn 1 but Jaxon didn't give up the fight and a great run over Lukey Heights allowed for a superbly timed pass into MG corner in the closing laps giving Jaxon the track position he needed to win the weekend. A spectacular passing move in the final race gave Jaxon the B-Class win for the race and the weekend! Tim qualified 6th in Elite class in the super competitive field. He had a great start and was looking to make quite a few spots around the outside into the first corner but was pushed out onto the dirty part of the track causing him to run wide. His re-entry onto the track at turn 2 was most exciting and topped off by a hit in the left rear wheel from Trende. A damaged wheel forced a pit stop and a lonely finish. In race 2 Tim got a cracker of a start from the rear of the grid and made 10 places in the first lap! He kept the pace up to finish an outstanding 8th outright! For race 3 we tried some set up changes expected to give him more confidence in the car’s handling but he wasn't comfortable with changes so did his best to hold on to 7th place (3rd in Elite Class) despite some very close attention from Jono Taylor and Goodacre behind him. After a shunt in the opening race Tim put on a spectacular show of speed passing 10 cars on the first lap of race 2! Due to most of his rivals being at their home circuit James qualified 5th putting him on the third row for race 1. He had a decent start and settled into 5th outright as he waited for his tyres to come up the optimum temperature. Once they did he did a great job to catch the lead group and pick off Hardeman on lap 7 then catch Elite class leader Emery on the last lap. Another lap would have been enough for the rapidly closing MR star. James had an eventful race 2, running 4th, then dropping 3 spots when he had a big moment at the exit of turn 2 on lap 2. As usual he battled back to finish 6th outright, right on the tail of Hardeman and Emery. In race 3 he produced a fantastic drive to shadow Emery until the last lap when he did a typically aggressive but well managed pass into MG to take third outright in Pro Class. 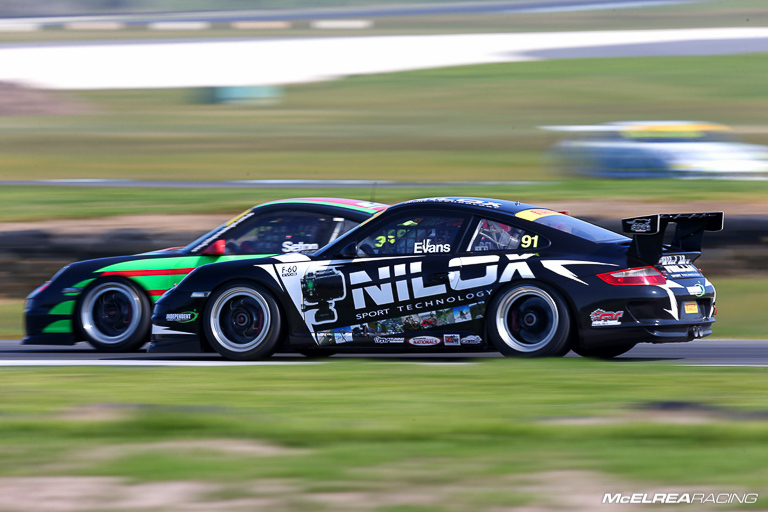 James Abela was up against some tough competition at their home track but fought hard to finish third outright! As with Jim's performance at QR, his rapid improvement is still impressing the MR crew! Like James in A Class most of his rivals were at their home circuit and Jim qualified an impressive 7th in B Class. In race 1 he had a good race with Trende, Finn and Barwood to finish in 8th. In race 2 Jim had a good start and was driving very well until being knocked off the track at turn 2 by an extremely ambitious A Class car which was penalised after the race for the contact. He pitted to replace a tyre and finished 20th on the road. In race 3 he continued his good form despite starting further back on the grid to finish 6th. Jim continues to improve and in his first season he is currently third in the B-Class Championship! Sparksey came back to Phillip Island primarily to get more comfortable with the challenges of the very high speed corners and rolling nature of this circuit. He qualified 9th with a respectable 1:39.38 which was 1 second better than his qualifying time from the Island Magic event he did here in November last year! In race 1 the plan was to focus on staying in touch with the two or three cars directly ahead. With the disruption at turns 1 and 2 on the opening lap he correctly decided it was a higher priority to bring the car back in one piece, which cost him a bit of time leading to a nice calm race keeping a close eye on Trende and Jim. Race 2 was largely uneventful, but due to a few DNFs, he started race 3 in 16th. In the final race he had his drive of the weekend chasing down team mate Jim and keeping ahead of Tsigeridis and Barwood. 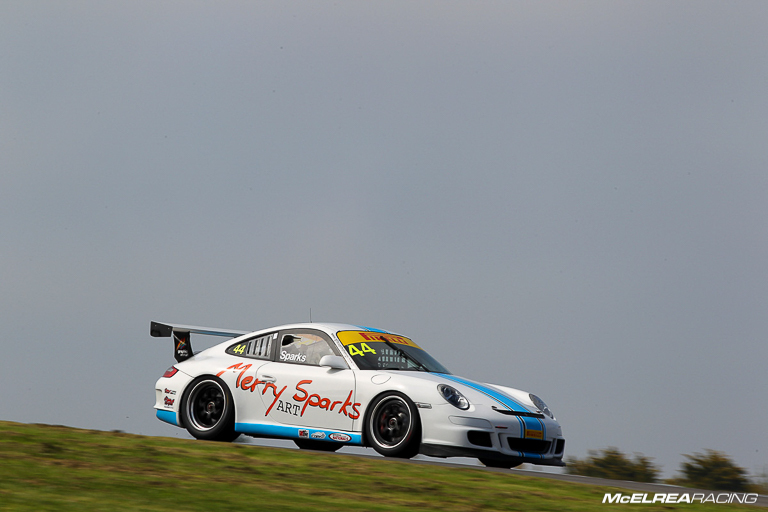 Grant Sparks had the drive of the weekend in race 3 chasing down his team-mate Jim Campbell. 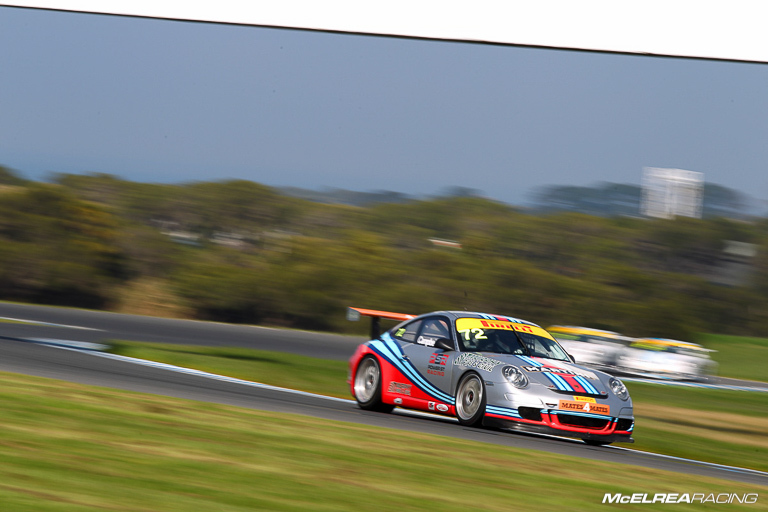 You can see the full point on the GT3 Cup Challenge website. 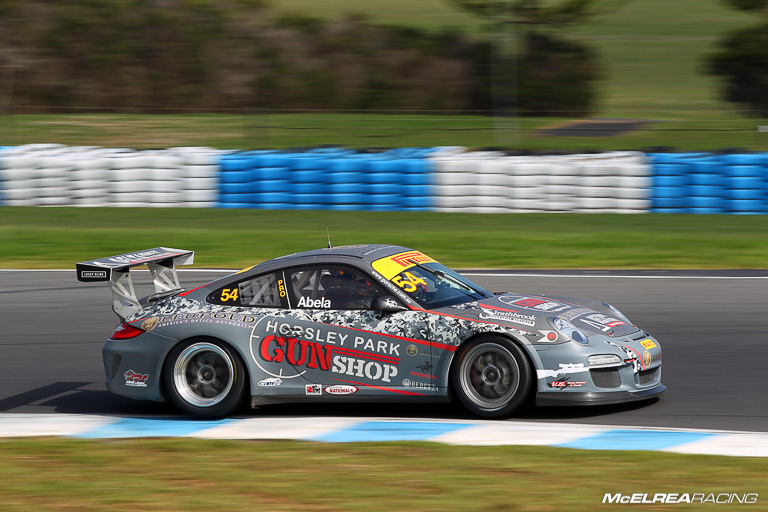 The team now heads back to our workshop at the Gold Coast to finish preparations for Round 7 of the Porsche Carrera Cup at Bathurst on the 8th of October. 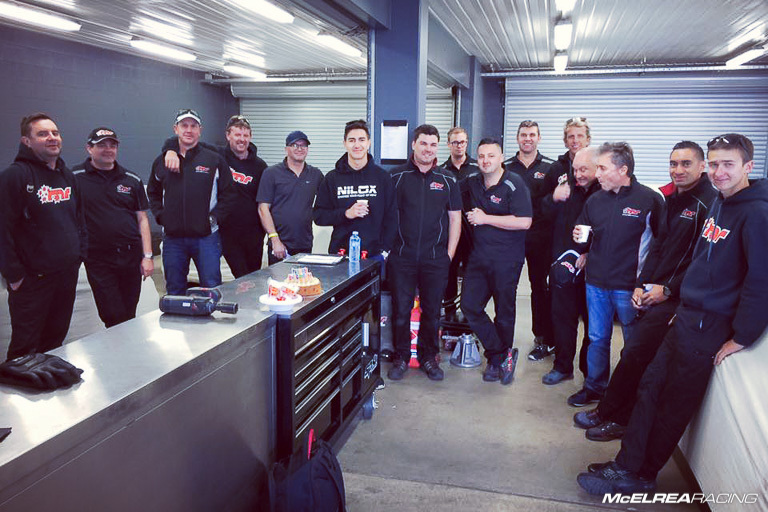 The Team celebrate Jaxon Evan's birthday in true Motorsport style... Cake in the pits at Phillip Island... What could be better?